Union 2.1.1 is now available for download. This release introduces banning by IP range, activity-based client timeout, a room-message event for room modules, random-delay client reconnection, delayed "first attempt" client reconnection, and bug fixes. For more information on the 2.1.1 release, see the Union 2.1.1 Release Notes. Union 2.0.1 is now available for download. This release includes client and server bug fixes, and improvements to Union Admin. Union Admin now includes bandwidth statistics, and monitoring of both raw-connections and client-connections per second. Administrator clients can now also connect to Union Server's administration port over WebSocket and HTTP (previously connections to Union Server's administration port were limited to XMLSocket-format TCP connections). For complete details, please see the Union 2.0.1 Release Notes. 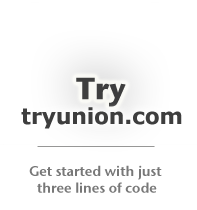 The official Union 2.0.0 final release is now available for download. This update fixes a small set of issues discovered during the Union 2.0.0 beta period. For complete details, please see the Union 2.0.0 Release Notes. For complete details, please see the Union 2.0.0 Beta 3 Release Notes. Orbiter 2.0.0 Beta 2 is now available via Union CDN and download. Orbiter 2.0.0 Beta 2 fixes a compatibility issue with Internet Explorer 8, and various other minor issues. This is a bug-fix-only Orbiter release that does not require any updates to Union Server, Reactor, OrbiterMicro, or other client code. This update is highly recommended for all users of the previous version, Orbiter 2.0.0 Beta 1. USER1 Subsystems today announced Union 2.0, a major upgrade to the popular realtime platform. 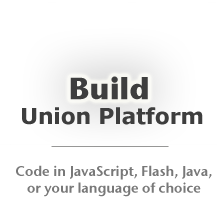 Union 2.0 revolutionizes connected-application development with two key new features: Union Server clustering and Orbiter. Whether you’re building a nation-wide interactive television show, a cloud-based collaboration service, or one of the world’s largest online chess communities, your application has to scale. With Union 2.0, it will. Union 2.0’s new clustering API connects multiple Union Server instances together, expanding Union Platform’s concurrent-connection capacity to colossal proportions. Applications that were previously limited to tens-of-thousands of simultaneous users can now be scaled to hundreds-of-thousands or millions. With Union 2.0’s clustering API, it’s now almost trivial to spread client communications and application logic across multiple servers. Just make a list of servers, send a remote event, respond to that event, and your application is clustered. To expand your application’s capacity, add any number of machines to the cluster. Then bring on the masses. And where better to find those masses than on the web. Clayton was especially happy with the team’s decision to implement Union Server clustering as a core feature. Union 2.0 is now available. Union's CDN file locations are posted on the official Union CDN file list. All files are freely available for public use in both development and production deployments. Union CDN also benefits production deployments in the form of reduced bandwidth costs. And end-users of Union CDN-based applications will experience faster content start times due to the global availability and local caching of Union CDN files. Union Platform's CDN hosting is graciously provided by Influxis. For more information about this release, please see the Union 1.1.0 Release Notes.